Plymothian Transit: still going strong! R117OFJ is the last of the batch in service with all the others now withdrawn. Being an early example of a design that lasted pretty much unchanged for almost 10 years means that most passengers wont notice that its so much older than the others in Plymouth. If this dart, 17, makes it to may 2018, it will enter its 20th year in service. I believe that 17, 33 and 46 are still going strong. I have also been told that they will be withdrawn in early January. Surprised non of the redundant thamesdown darts have made there way down yet some of them are 04 plate so could have an extended life down here. Sorry to go on a tangent but i havent seen 370-373 since the july timetable change. didnt know thamesdown had redundant darts? fleet numbers? Thamesdown have recently take on a lot or new E200s so probably will have spare Darts but why would Plymouth want them? 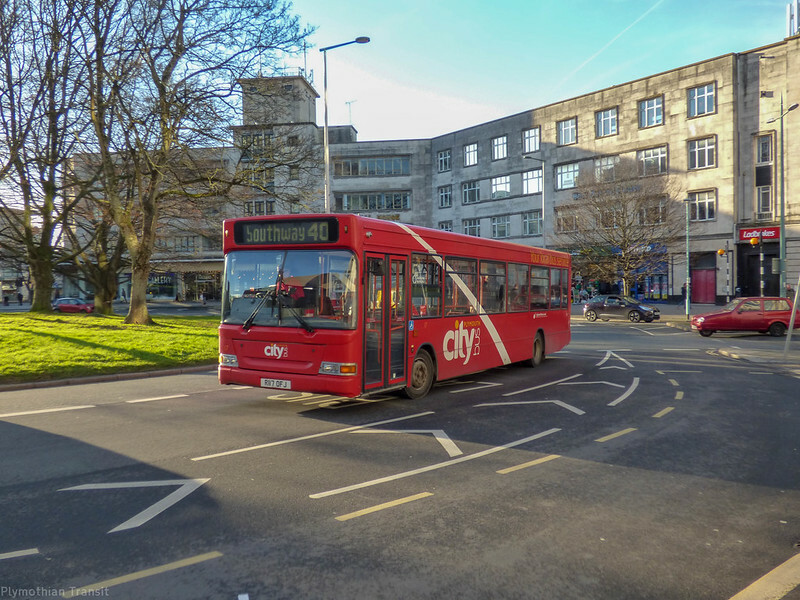 Citybus have taken lost of of service themselves so cant see the point in getting anymore, especially if they are as old as the ones we are trying to replace.